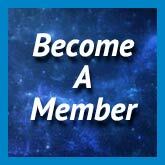 The New Hope Metaphysical Society Welcomes You! Posted on October 3, 2017 . Updated November 6, 2017 by admin. Master Energy Healer , Hugh Strain, who comes from Washington, D.C. will be the featured speaker for our October meeting. Hugh will be offering a very unique program about Healing Negative Karma which will include a lecture, power point presentation and video on the importance of clearing one’s karmic patterns and conditions in one’s life. Mr. Strain wants us to know that the information he is offering this evening is being done so at a time in Earth’s history when all of humanity is required to uplift their frequency and soul standing to support Mother Earth in her transition. Clearing negative karma and increasing one’s health will allow each person to serve humanity and the earth in a more profound manner. 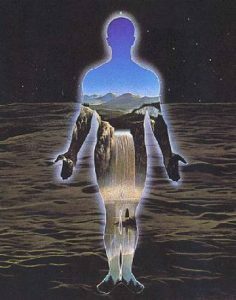 The key message that he wishes to present is that all illness is caused by blockages at three levels- Soul, Energy and Matter with soul blockages (negative karma) being the most important to clear first as they are responsible for the majority of physical illness in one’s life. Hugh will provide an extensive description and discussion about key negative karmas that the majority of people are involved with and will, later in his program, present various facilitated exercises and practices to clear negative Karma (Soul blockages) including sacred chants, calligraphy tracing, forgiveness practices and preparations for a fire burning ceremony to be done on New Years Day 2018. Q&A sessions will take place before the first break and after each facilitated exercise. Hugh Strain is a former Naval Officer currently working for a Fortune 500 company in the Washington, D.C. area. He has a B.S. from the U.S. Naval Academy and an M.A. in National Security Studies from Georgetown University. For the past 26 years as a government contractor, he has used his creative skills to help solve challenging and highly complex national security issues including Counter Terrorism analysis. Since receiving a Kundalini awakening in 1997, Hugh has been studying and practicing numerous healing modalities. With assistance from Gurus, Masters, M.D.s, Alternative Healers, Shamans, Kahunas and loving mentors, he has integrated 5000 year old Tao secrets and teachings with other contemporary healing modalities to develop a 3-Tiered healing system that can help improve your life. In support of this approach he has worked extensively for three years to certify or master the following modalities: Tao Healing Hands, Reconnective Healing and The Reconnection-The Emotion/Body Code, and Food Healing. Program Survey- We Appreciate Your Opinion! The New Hope Metaphysical Society is an organization created to serve the public as a safe haven and a source of Light, where people seeking personal support, spiritual community and metaphysical education can gather together. Sign-up now NHMS welcomes you all!